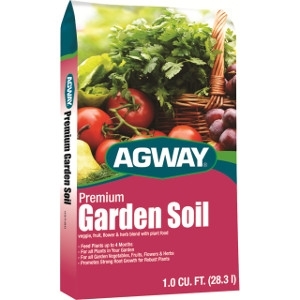 Prepares soil for growing vegetables, fruits, herbs and flowers. Balanced and fortified to yield a bounty of nutritious and delicious produce. 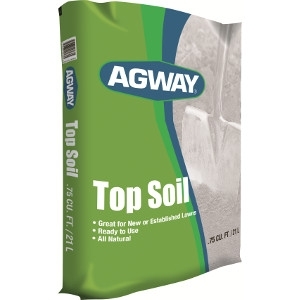 All natural garden soil enhanced with earthworm castings and Myco-tone. Helps build strong roots. For in-ground planting of vegetables and flowers. 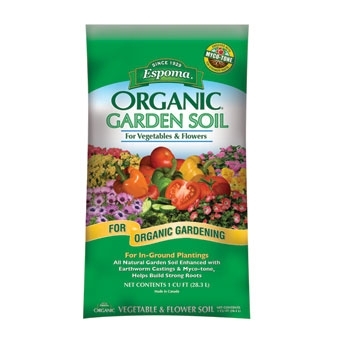 All natural garden soil enhanced with earthworm castings and Myco-tone. Helps build strong roots. 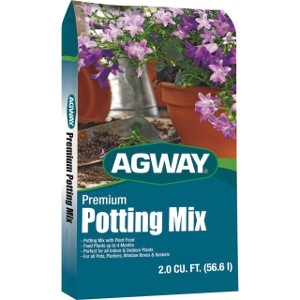 All purpose planting mix for in-ground planting. 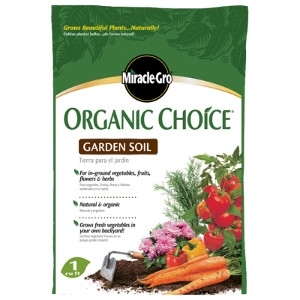 Miracle Gro organic choice garden soil is 100 percent organic. Natural fertilizers for beautiful results. Slow release natural nitrogen for extended feeding. 1 Cubic foot size. Fast draining formula which is enriched with Miracle Gro Plant Food. Formulated for lawn repair and overseeding. Use with grass seed, sod and grass plugs. Grows grass 33% quicker than native soil. Scotts Starter Fertilizer already mixed in. 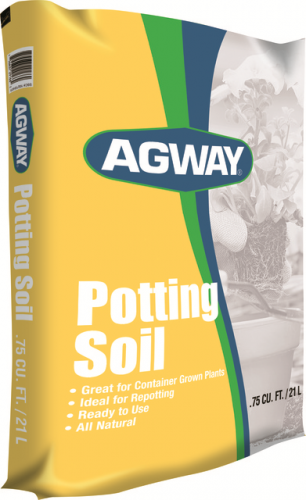 For container grown plants, ideal for repotting, ready to use. For all Indoor and Outdoor plants and containers. Nourishes plants and supports their growth. 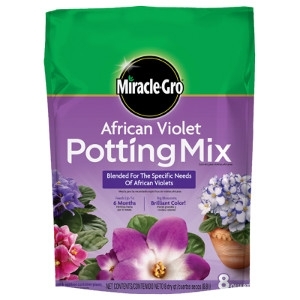 Specially formulated for African Violets with a slightly acidic pH. Premium blend of sphagnum peat moss and perlite. 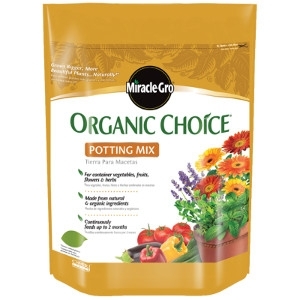 Enriched with Miracle-Gro Plant Food for healthy plants and blooms. Feeds instantly for a fast, vigorous start to help build strong root systems. Takes the guesswork out of watering! Exclusive AquaCoir formula holds 33% more water than ordinary soils to protect against over and under watering. 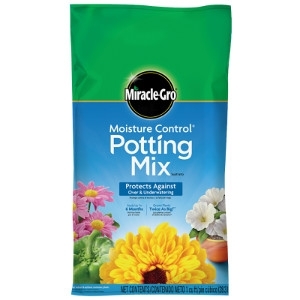 Contains Miracle-Gro continuous release plant food to feed up to 6 months. Enhanced with MicroMax nutrients for hearty, vigorous plant growth! Grows plants twice as big organically. All natural fertilizer provides both quick and slow release feeding for up to 2 months. Contains nature s own bionutrients. 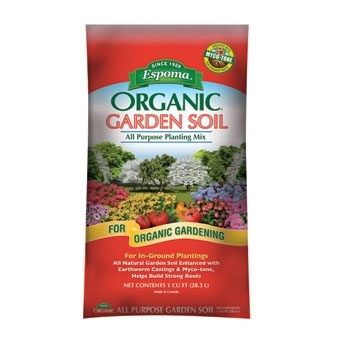 1 % Organic Potting Soil All Natural. 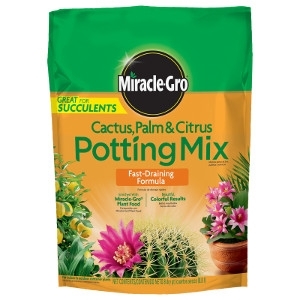 Feeds plants up to 3 months with Miracle Gro Continuous release plant food. 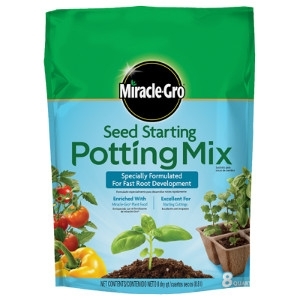 Miracle-Gro Seed Starting Potting Mix is a lightweight mix of sphagnum peat moss and perlite. 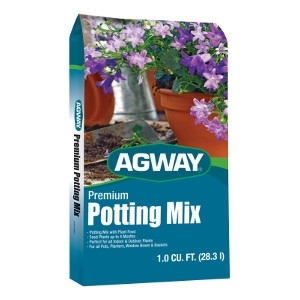 This potting mix makes it ideal for germinating seeds and rooting leaf, stem and root cuttings. 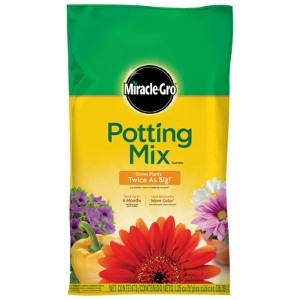 Then with the enriching nutrients of Miracle-Gro plant food within the mix your plants will get a great start to building strong roots. 25 lb. Bag. 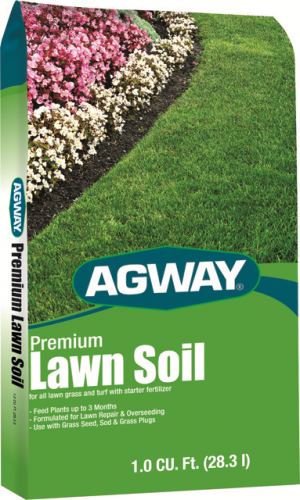 Great for new and established lawns and gardens. 1 Cu. Ft. Perfect for all indoor and outdoor plants. Feeds plants up to 4 months.